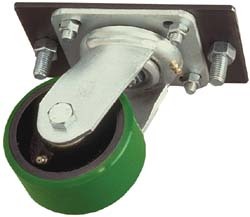 Rv Jacks and Levelers make it easy to level and stablize your Rv with our HUGE selection of RV Power Jacks by Atwood. 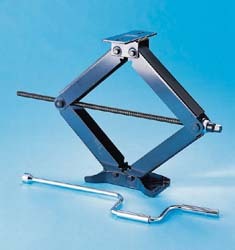 With a LARGE selection of RV Stablizing Jacks by VUL and Rv Scissor Jacks by UF we keep you upright and secure. 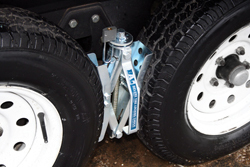 Check out our RV Slideout Supports to keep your camper stable while our Rv Wheel Chocks from Camco help keep you in place. Camper Parts World has all the RV and camper jacks that you'll ever need to keep your RV level. Make sure your camper never shakes again with rv parts country. Check out our truck jacks, standard Rv jacks and foot plates, Rv stabilizing jacks, Rv slide-out supports, leveling systems, Rv skid and swivel wheels, and Rv chocks/basepads and docks/plates. 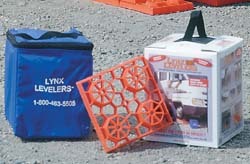 Keep your RV on stable ground and keep everything level with our select line of RV jacks and levelers. Get yours today from Camper Parts World. We have everything you need to stabilize your rv including slide out supports and stabilizer jacks.